I have been following Sri Swamiji since August 1976 when He first visited Trinidad. I pride myself in the fact that I have not given any thought about leaving Him; about going to another guru. 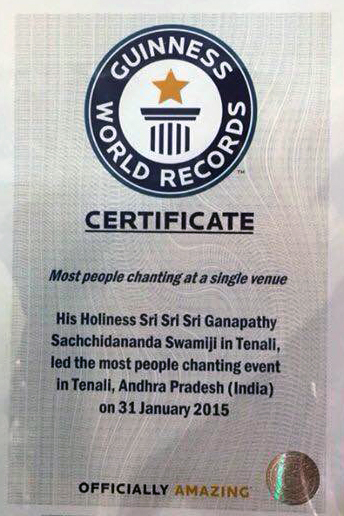 For me this is a great achievement for I have seen many devotees do this. My quest started when my friend Anthony Alphonse and I started to go deeper into spirituality. Our search took us sometimes out of our conventional Christian religion, as we knew it. In his search he could not find the spirituality that he was looking for here. Suddenly, one day he told me, “I’m going to India.” There he spent nine months at the Sathya Sai Baba’s Ashram. Even in this search he still was unable to get satisfaction. After hearing about a holy person staying in Mysore, he left that place and went to Mysore where he met Sri Ganapathi Sachchidananda Swamiji. On his return, he approached four to five persons he knew, to pool some money to prepare for the young Indian Swami who wanted to visit Trinidad. He asked me, “Can you do this? Can you help?” I said, “Yes, definitely.” The strange thing though was that though I was not a Hindu, at least not a practicing Hindu, I wanted to help. My ancestors were Hindus, but my father had converted to Christianity, because at that time if they wanted jobs they had to convert. Anyway, a few of us all put our funds together and Sri Swamiji came. On August 14th 1976, Sri Swamiji came to Trinidad for the first time for just two days. Initially I felt He was just another person, but somehow I found myself at Dr. Chandool’s residence at 7.00 am the next morning, knocking on the gate asking, “I would like to see the Swami.” Dr. Chandool (whom I did not know) came out and said “I’m sorry, it’s too early; you should go to the Mayor’s office in Port of Spain where He will be going shortly and there you will be able to meet Him.” So I went to the Mayor’s office and there I saw Him but didn’t get to meet with Him. He had this flowing beard and strange robes– something with which I was not familiar. I learnt that He would be visiting the St James Temple later that day so intuitively I went there. My friend, Anthony Alphonse spots me at the entrance and calls me. He says “Hi David! Come, I would like you to meet this Swamiji.” At the same time Sri Swamiji also saw me. Coming forward, He put his hand out to me and we shook hands. Suddenly I was in a daze. I don’t know what happened, but I found myself backing away from Him. Some strange feeling came on me and I saw the Swami passing His hand on the railing and materializing something which He gave to Alphonse. I just stood there watching Him while He examined the place. He was looking at the Murtis and everything around Him. Without saying anything to anyone I went home and fell asleep on the couch. As if in a vision, I clearly saw the word AVADOOTA. As I did not know the meaning of that word, it puzzled me. Next day there was a satsangha and I went there, sitting at the back. I was telling myself “I am not following you, I am not following you. I am just here to observe.” I sat curiously at the back watching. Then He started to sing; I think a Rama Bhajan. Suddenly I started feeling as though ants were biting me along my spine. This caused me to move uncontrollably and I was feeling embarrassed, because all the others were keeping still. “What was this strange thing happening to me?” Anyway after the satsangha this feeling quieted and I felt better. Sitting next to me was a very famous dancer, Krishna Persad, who spent many years doing dance in Trinidad. The Swami called him up saying “Come.” He materialized something and giving it to him, He said “Don’t show it to anyone.” As I was sitting next to him, curiously I was wondering “What is this He gave to him?” Having cupped it in his hands he never showed it to anyone. Then everyone got up and starting moving around, but this Swamiji remained sitting there. Finally He spoke, although not in English, asking if there was anyone to see Him. Dr. Chandool asked, “Anyone else wants to see the Swami?” I got up and moved towards Him. In my mind, I kept saying, “I am not interested in following you, but I would like your blessing.” He offered me a flower and said, “You call my name, say my name.” That was our first meeting. Since that first meeting my life changed, because in those days, I would eat meat, drink alcohol and make the social circles. However, after six months I became disinterested and I wanted to meet Him again. I was thinking more about Him and I couldn’t understand why. “What is this strange pull that I am feeling?” I needed to find out more what was happening to me? So I started going to the satsangha to see what it was about. I didn’t understand anything; what was satsangha? What was a bhajan? In those days we had no photographs of His Holiness, only one music cassette. We kept playing that cassette over and over and over at the satsangha. Radha Krishna, now Swami Manasa Datta sang on that cassette also and it is that cassette that gave us inspiration. How is that? I wrote letters to Sri Swamiji, asking Him to be close to Him. Then in His response to one of the letter I wrote, He wrote. “I am closer to you than your very own bones; know this for certain!” This remark obviously made me think a lot, that even till today I still question, ‘what does he mean by that?’ What is the inspiration in that message? Learning about the Guru Tatwa, it says that Guru is everywhere and is in everything; if you speak to this book, thinking Guru is there, Guru will be there. Guru is in everything, so this Guru Tattva is becoming clearer to me. Holding on to the words of the Guru inspires me daily. For example, He said to me, “I will make you silent,” and every day, more and more I see that experience. He said to me “One day, you will see Swamiji everywhere,” and slowly that experience is developing. Now, these words are in my mind, in my head, and I am holding on to them like a rope that is pulling me towards the Guru. After our initial meeting with Sri Swamiji, we had some training with Babaji at the Om Tat Sat Center from 1977 to 1980. He was training us how to be with the Guru; not thinking negative, what one should do, and how one should be. Those teachings helped us considerably so that when we met Sri Swamiji in the USA we got a chance to serve the Guru, by His Grace only. This training will be with me for the rest of my life, without which we would have struggled much more. This training gave us insights into how to serve the Guru. Some of the opportunities given to us included the production of many books, pamphlets and literature. In the early days, there wasn’t any kind of literature for the western, English speaking devotees. We started with “Forty two stories” on Swamiji’s 42nd birthday. This was a book of short stories with morals, told by Swamiji. This was followed by “Follow the Master”, a guide for new devotees. We were also interpreting the materials from Bhakti Mala magazine with the training which we got from Babaji. So we were able to use that training to help put together that book. By Guru’s Grace we did “Dattatreya: The Absolute” followed by “Datta Ananda” a book about the Datta bhajans, translated into poems. Sri Swamiji said that it was a good effort. Then over the years we did smaller works that spread His word and helped people to understand His mission. We were also involved in a lot of Public Relations work to bring Sri Swamiji to this country. One of the leading Hindu organizations would persecute any Swamis coming into the country by denying then entry permits, and Sri Swamiji was no exception. However, with the help of others we were able to serve, helping to organize Sri Swamiji’s trips in 1984, 1986, 1988 and onwards. We have learnt three indelible and salient things from being with Him; implicit faith, implicit love and implicit obedience. Just do what He says. Once when my family was having problems with the extended family, He said, “If Swamiji says cut your throat, then you do just that.” He was giving little lessons to us all along. He would say things to inspire you or to initiate something within you. It was his way of doing things, changing you, developing you. I remember an incident where we had taken Sri Swamiji to Mala’s parents’ home. After the program we took Him to where He was staying in Arima. It was after midnight and we were about to leave. Suddenly, He said “Don’t go, stay here tonight.” I said “No Swamiji, it’s not a problem, we are going.” He said “If you go I’m going back with you. Stay here!” So we stayed. If we had gone then maybe some accident that He saw might have happened, we don’t know, but it was important that we followed what He said. Like this we would obey. After He married us, we told Him that we would like to have children and He said to go ahead, everything will work according to His will. There are three boys, Datta, Srichitta and Mukta, who are really His children. That in itself is a miracle. So we are trying to live that life that He would want; we are doing service; service for His mission. Of course, we need to have more discipline and still have far to go…. The early years were about developing an organization, finding good souls and our path in that mission was to reach out to others. In 1984, I attended Hindi class in the Indian High Commission where I met Dr. Ralph Sieupersad and Siewnarine Singh Sharma, two persons who would play a crucial role in developing the ashrama here. Anywhere I could, I would go and introduce Sri Swamiji through His works and music. I also attended a Seva Sangh camp in Beaucaro Temple in Central Trinidad from where many of the devotees came to a Kriya Yoga Camp in Palmyra Village. From that Kriya Yoga course, some are now senior devotees of Sri Swamiji includes; Pt. Boloji Ramnarine, Gyan Ramlogan, Satish Ramroop, Ramrangi Ragoonanan and Krishna Maharaj. 1986 was an important year in the development of Sri Swamiji’s mission in Trinidad and Tobago. While driving to a program one day, Sri Swamiji asked me directly, “What should we call the organization?” I responded that we should call it the Dattatreya Yoga Centre, because of the great emphasis which He was giving to the propagation of Prabhu Datta and we had tried the name ‘Gyana Bodha Sabha’ before unsuccessfully. At once, He said, “Yes! That is good.” This is how we moved to form the organization. This is my experience, travelling around with Him and getting key people to form the organization. We also did the PR for the media, through articles and pamphlets on newspaper, radio and television throughout the country, telling people about Sri Swamiji; what He does and what attitude and approach to have with Him. This was the work of the early years. People were thrilled by this Guru; the way He sang the bhajans, His multifarious practices, His Kriya yoga sessions, His personal touch, the way He would stand and talk with you, He would know exactly what to say to reach each individual, and what to say to the crowd. This initial training and experience with Sri Swamiji has been instrumental in forming my personality. Serving my Sadguru in the early days was about this, bringing more and more individuals to Him, helping to organize His programs, whether He was physically present or not. I was being a bridge by which devotees could come to meet Him. During 1986–1990, the organization really got started. It developed in the Central area, mainly in Chaguanas and in the village of Carapichaima. There He formed His first executive committee. He asked me to put names on a list of all the people who should be on the committee. When I presented the list He selected eleven persons from the twelve presented. In one of His early trips to Trinidad, Sri Swamiji told us about a famous blessed river that existed in the country. He wanted to find that river as it was mentioned in the Brahma Purana as the Sararipo Nadi. We took Him to a small rivulet that flowed from the Aripo Mountains which He identified as the river, but not the spot, in which He was seriously interested. In 1988 He took us on a divine drive higher up in the mountains, stopping twice and finally identifying a location where He said “This is the place.” We trekked through the forest, down a muddy track, to that spot that is now used, where the two rivers meet. There He did some offerings and pujas and blessed everybody. He said that in this area all the Rishis and Munis were sitting around and it was a very sacred place especially to Lord Dattatreya. 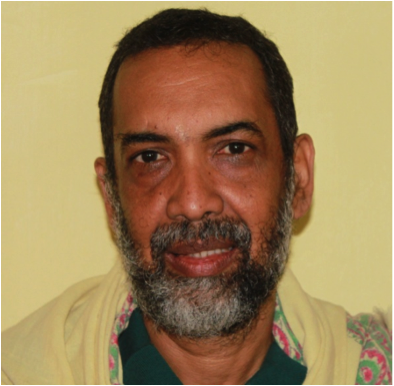 He developed Aripo, with help from the Saroops, Anthony Ramnarine and Deo. In the early days we cleared several trees and established Guru Padukas on a rock in the river. Later, centers were established in Princes Town through the Ramdath family, and Penal through the Saroop family. To me, they have all been doing good service for Sri Swamiji and for themselves. In those early days Sri Swamiji was very emphatic about searching for “some old souls.” He also said that He works “slowly, slowly.” To the one who controls time, there is no hurry. Later, we realized that all the people that Sri Swamiji associates with closely have been linked to Him from a previous birth. There was no doubt about it because having travelled extensively with Sri Swamiji at home and abroad, as soon as He points out to a soul and says “You, stand up!” that person says, “Swamiji, I am following Dattatreya,” or Sripada Srivallabha, or Narasimha Saraswati, or some other Datta Avadhoota; some form of Dattatreya. From this, Sri Swamiji is able to pick him or her out instantly and form a link. There is no doubt in my mind that Sri Swamiji is here as the Avatar of Lord Dattatreya to raise those souls who have gone astray; who have been linked with Him in the past, whether it was as Sripada Srivallabha, as Narasimha Saraswati, Tembe Maharaj or any Dattatreya Avadhoota, or Navanatha form of Dattatreya. He finds them, links with them and brings them to a certain point, which they are capable of in this birth. That is spiritual growth and added to that at some point in time, I’ve seen some of them leaving, even those boys who are in the ashram who seem so close, suddenly you find that they leave and go. However, Sri Swamiji is not perturbed. Their time has come. It is quite clear, their time for being with Him is finished for now and they leave. So this spirituality, this journey, varies from human to human and we are lucky when we can get a chance to be with Him, because some of them have been so close and have not realized who He is. Even my children have gotten the opportunity to be so close to Him and we are afraid sometimes that they do not know who they are really dealing with, because this opportunity that they have is because of punya from some previous birth. But as they grow older their understanding and appreciation will grow by His Grace; I’m certain of it. This is their good karma, but if they do not use it, if they do not develop it then they will lose it at some point in time. We must be aware of that; they must know that being with the Guru may not last forever. You can lose that Grace in an instant. It is about churning of your karma (like churning the ocean and good things coming out) and building your karmic bank balance. Having a Guru enables me to be steady because He gave me a mantra. By continuous chanting it strengthens me. If in some period, it seems that you are going down, it’s only because of a bad karmic period, if you have your Guru mantra that will keep you afloat. If you don’t imbibe it, you will sink. That guru mantra only keeps you afloat. This is why Sri Swamiji has been giving us so many mantras. Datta Stavam, Om Aim Hreem Shreem, Om Namo Hanumate Namaha and various mantras to say to suit the changing times. Once we say that particular mantra then we will be kept afloat by His energy. So many people throughout the world have received mass initiation with these mantras. Such is the power of this Datta Guru. I first learnt about His Holiness, Sri Ganapathy Sachchidananda Swamiji in 1977, through my husband, although at that time we were not married. He told me that he had met someone about six months ago, whom he thought was great and he found himself just thinking about this person. I was not a Hindu, nor did I have any clue of Swamis or satsangha. In fact, I knew little about the actual practice of the Hindu religion. All I knew is what I had studied in theory in one course at the university on Hinduism. Anyhow, Mukunda asked me if I wanted to go to a satsangha, explaining that it was like a prayer session with singing and so on. I said “OK.” so we went to Dr. Chandool’s home. Dr. Chandool was having a satsangha with Sant Kesavadas, an Indian Saint, who was in the country staying at his home. On the dais where Sant Kesavadas was sitting I observed a small picture of another saint. I did not know who He was, but I just found myself looking at that picture throughout the satsangha. At the end, everybody got up and started performing aarti. I did not know what to do because I had never done this before. I was wondering should I go or should I not go. Then Mukunda said “If you want to go, then go.” I was not dressed in traditional prayers clothes, so I was hesitant. However, the pull was too strong. At the end, I found myself going up and I mentally asked Him for His blessing. However, while I was doing that I was not looking at Sant Kesavadas; until now I can’t even tell you what he looks like. I was just still looking at that picture. Later I found out it was a picture of Sri Swamiji. After one of the satsangha that followed at Dr. Chandool, Mukunda was talking with his friends discussing about Guru Tatwa, and someone was talking about Sri Sathya Sai Baba and so on. I realized that they all seemed to have a guru. Mukunda told me that a guru was a spiritual teacher, and a thought came in my head, “Who is my guru?” This thought bothered me for the next two weeks, until I could think of nothing else! I was going to school and teaching as usual. I lived at home with my parents, but this thought was just there. “Who is my guru? Who is my guru? Who is my guru?” It bothered me so much that I had no peace. Somehow, a little while after that slowly I started becoming interested in Lord Ganesha. Mukunda bought me a picture of Lord Ganesha which I kept in my home and I started getting more interested in actually doing some practices; like lighting a deya, and so on. My parents found that this was very strange because we were not Hindus. I myself could not believe it. Later, we attended a satsangha that was held at a devotee’s home in Arima. There was a black and white picture of Sri Swamiji’s face just above the main door. As I saw this picture I knew it was Sri Swamiji, although I still didn’t know much about Him. Soon, everywhere I went I would see this face, always a little higher than me and looking down at me. I started to feel as though I was going crazy. I thought, “What is this? Who is this? I don’t know you and I really don’t know if I want to know you and I don’t know anything about you.” But it bothered me, and at the same time I was getting very interested in Mukunda. Two things were happening simultaneously, I was wondering where my friendship with Mukunda was heading, and what this vision-like thing happening to me was. I don’t have any ‘sight’ or anything. I had never seen any such thing, but it was more of a vision. It was not a dream, it was not a thought. It was like really I was seeing this face. Everywhere, He was following me. As a Christian I had a picture of Jesus Christ in my bedroom. One night I couldn’t take it anymore and I started praying to Jesus, saying “If this person is not for me, (meaning Mukunda,) take him away. If this face, I don’t know who this Swami is really, but if you are not for me just leave me alone. I don’t know anything.” So I prayed like that and that very night I had a vision. After this incident I became more interested in Him and was totally captivated by His voice. Everyday I would immerse myself in His rapturous singing and after a while I felt that I could not live without hearing His voice. We only had one or two cassettes and kept playing them over and over. With Mukunda’s encouragement I wrote to Him asking to please guide me. I told Him that I didn’t know anything, but I wanted to find truth and God. He replied that He would guide me and that is how I started to see Him as my Guru. I started to read about other Gurus and saints also. Sri Swamiji has given my personal life some stability; I can’t leave Him. I just beg Him sometimes not to let me leave Him and don’t ever leave me. Over the years I feel as if He has really helped me not to be too emotional, because I am too sensitive and it was not good for my health. Having Sri Swamiji with me has raised my level of confidence. I know that Sri Swamiji has really blessed our family and has given us good children. After a while I have learnt that it does not pay to worry, because He is really in charge, I am not; they are not in charge. It is comforting to have someone who is capable, like Swamiji to see the future, the past, the present and to take care of us and that is what I feel very strongly about–that Sri Swamiji is there to take care of all of us and guide us in every way; most of all in our search for our true selves. Another thing Sri Swamiji has taught us is to surrender. If He tells us to do something and we don’t like it we try to follow it. Once Mukunda was not completely in favor of doing what Sri Swamiji said. I realized that the process was taking too long. At the risk of getting him angry I said, “You have to do what Swamiji says. If He says to do it now, you should not do it tomorrow, do it now, why are you waiting?” That same night I had a dream where Sri Swamiji hugged me and I knew it was because of the advice I gave to Mukunda. Another thing that I have learnt over the years, for me, not being a Hindu from birth, it was strange for me to consider husband as guru, and we used to have a lot of clashes. I felt sometimes I had to stand up and say something because sometimes he may not have been doing what I would have liked him to do. Sri Swamiji has changed me and is still changing me. I have learnt that it is not always the best thing to be right, you have to be humble; to defeat yourself is a great thing, and that is one of the most important lessons that He has taught me. After a while I learnt that it is not really about being upset but finding Sri Swamiji within at all times, no matter what is going on around you. Another thing that He is teaching me is to see the good in everyone. By nature I am a very critical person and I was trained to pick out and critique because this is my field, language and literature. Sri Swamiji has taught me, over the years, that fault finding is not important in the long run, God is in everyone. We have to try and see Guru in everyone, and in every situation, good or bad. Everything I do, I should do as if I’m doing it for Him. If I am washing dishes, cleaning the house, I must see it as His house. I am trying to do this. Slowly He is changing me, helping me to be peaceful! It’s only possible with His Grace. In 1982 we went to India for Navaratri and during that period Sri Swamiji took us to see this Jain statue. We were going in two cars and on the way Sri Swamiji stopped and told our driver to sit on the other side and He would drive. He drove fast, very fast, for a little while on very rough roads, while we were clutching our seats. I said “Swamiji, You are going too fast” but He was laughing, having a good time and saying “Don’t worry, I am here, I am driving.” When I look back at that, I realize that was very significant because He is the driver of our life; He is our charioteer. We are not driving and even in the rough times He is in control, so we don’t have to worry about anything. I feel now that I am living to serve Sri Appaji. He saved me from a terrible accident in 1991 and gave me a “new life”. He Himself told me so. Since then I realize I belong to Him and I love it, so I try to attach myself more to Him than to family now. In fact my whole family belongs to Him. He has rescued each one of us from life-threatening situations many times! Before I had my accident, I had dreamt that I was going to be in one and Sri Swamiji told me in my dream, “Don’t worry, I’ll take care of you.” So said, so done! I recovered in about three months from what should have taken three years…. When our second son, Srichitta was just a couple of months old, he was stiffening and turning blue. It would happen suddenly when he was drinking his milk, and this was very scary. We ’phoned Sri Swamiji who was in Malaysia at the time and He said, “Nothing is wrong with Him. Don’t worry.” When it happened a couple of times again, we ’phoned Him again, and He said, “Nothing to worry. But if you wish, take him to the best doctor.” We were reluctant to do so, but friends who also witnessed it, non-devotees, who were also scared, persuaded us to do this. Doctors did every test they could, but after four days in the hospital, could find nothing wrong. I was tired and stressed from sleeping in a chair in the hospital and said, “Swamiji is the best doctor. I’m taking him home.” After about three weeks, gradually it stopped. The next year in Switzerland, Sri Swamiji told Mukunda, “I had to fight with the planets for him.” We did not understand what this meant then, but I feel now in my heart that He is the master of the planets also. I realize that He puts us in situations sometimes even when we are performing seva, just to help us work out some karma, in a short time and under His umbrella of protection. Babaji had told us that Sadguru is like a catalyst, He speeds up the karma of His devotees, but gives them strength to bear or overcome it, often in unusual or unexpected ways, and I see this all the time in my daily life. “Expect the unexpected.” Sometimes it is not easy to do seva, but still I would not have it any other way. Sri Swamiji knows best, and by shifting me from one seva to the next, He makes sure I don’t get attached to seva also. Sometimes I may have something to learn from the seva. For me serving Him is itself sadhana and ananda, divine bliss! In 1991, when we returned from India, my husband started to renovate his mother’s house with the intention of going to live with and look after her. After about six months Mukunda, our three children and I we moved there, although he still had some work to do on the property. He made one major mistake. He did not consult Sri Swamiji before moving. He thought it was the right thing to do, since his mother was old, lived alone, and more and more needed help, and we lived quite far away. However, in hindsight, we need to consult Sri Swamiji for major decisions! For about five years we lived quite peacefully and happily there. His brother and sisters were happy that we were taking care of his mother, as they were not able to do so, for one reason or another. The property by then was legally ours. Then he made another mistake. He renovated another piece of the property next door and started to rent it. Earlier, Sri Appaji had told Mukunda to go slowly, but he had ignored or forgotten His advice. All of a sudden his family, including his mother, turned on us. The situation was tense and my family and I could not live in peace. They did not want us there. The children were confused, hurt, and so were we! We tried talking to all of Mukunda’s family to try to live in peace, but to no avail. The situation worsened, and each day we would dread coming home, not knowing what we would find waiting for us. They were becoming openly aggressive and threatening towards us! Mukunda’s relatives did not want to see reason though he tried again and again to please them. How can you fight your own mother? I had never known such ‘family’ turmoil and conflict, and was constantly praying to Sri Swamiji for help! The stress took its toll on my health, and I was always tired and nervous! So we followed His instructions and rented for about three years, then came to live nearby the Temple—in peace! It was not easy, since my husband had to work hard and the children hardly got to see him. Mukunda was exhausted, and we were all emotionally drained, but he never stopped his Guru seva. Together we worked on producing a Souvenir for the consecration of Sri Karya Siddhi Hanuman in 2003. By Guru’s Grace we also helped in the compilation of “The Caribbean Story”. Sri Swamiji told us that this karma was finishing and that this was a lesson in vairagya for us. We had lost a house and family, but we had Guru’s Grace; that is the most important thing! Later, He also said that in the Ramayana, Sri Rama followed the wishes of Kaikeyi and of his father Dasharatha implicitly, humbly and happily, holding no ill will for them, or for Bharath. We sacrificed and did what Sri Appaji told us to do, though it was very difficult. Now we had to go, start over, with three young children to educate, on meager salaries, at the time. This was an eye-opening experience for us. Word spread amongst the devotees that we were experiencing problems with family, especially his mother, and we were shunned. We realized that Kaliyuga was indeed the age of quarrels and conflict, but since Sri Appaji wanted us, in particular our three children to live in peace, He took the bad karma and turned it into something good for us! By following His instructions, we felt that He was our true family and friend! 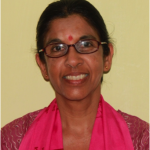 During that time, my health suffered and Mukunda and the children were emotionally scarred. A lot of the time I felt isolated and hid my feelings! However, Guru is great! Many times my husband and I despaired, wondering how we would get through financially and even emotionally and if we would recover, but always He looked after us and a solution always came at the right time. He gives you the strength and care just when you need it most. I learnt that He is our only true friend, a divine one who provides timely help in the most trying of situations. Such a divine Avadhoota never turned His back on us, His children! We cannot forget that! Both of you have narrated your experiences with Pujya Sadgurudeva , so beautifully, the article speaks. Om Namo Hanumathe Namaha !! Sri Guru Datta !!. What a great experience for both of you with HH for four decades! HE is the driver of our lives we merely follow HIM. Jai Guru Datta, hi Ms Balroop this is rajendra boodram you taught me in high school i use to visit you when you were in Santa Rosa Heights Arima, i remember when swami first visited Trinidad you invited me to the temple, my mom and myself was there not sure what year that was but it was a divine experience hope i can meet with you guys one day agian through swami grace jai guru datta. Jai Guru Datta,as a recent follower of Sri Swamiji, I sometimes feel as if not knowing about Swamiji earlier that I have missed so much, but I remind myself, that nothing comes before time, there is a reason I came to Swamiji when I did, and I have faith that I will be guided by Swamiji. I can’t put into words the difference Swamiji made in my live, thank you for the love and guidance Swamiji. Jai Guru Datta. Your words are golden and offer such pure insight into the nature of the Guru and devotee relationship. I will be reading this a few times to make sure I get the full value. Thank you both for sharing. Jai Guru Datta. What a wonderful faith-giving story. Thank you. JGD, Uncle and Aunty 🙂 I relate to your experience in more levels than one. I really know what you meant when you said “I have learnt that it is not always the best thing to be right, you have to be humble; to defeat yourself is a great thing, and that is one of the most important lessons that He has taught me. After a while I learnt that it is not really about being upset but finding Sri Swamiji within at all times, no matter what is going on around you” In my defeat, I know what I have learnt what has changed within me and about me. Thank you for sharing. JGD. Wishing for HIS grace to remain with you always!! Very good experience. my humble pranams to Mukundji & Malaji. Our Sadguru is great. Sri Guru Datta. Jaya Guru Datta!! Thanks for sharing your experiences. It is really helpful to get answers for our life/wordly problems from your experience and learned some more things like how to do seva for Guru. Love you Appaji to get to know all these things. Jaya Guru Hanuman!! All the best for You and Your family! S.G.D. Jaya Guru Datta, I am very happy and thankful to have read your inspiring experience. Reading the words, it took me a while to understand and accept that concept fully. Reading your experiences, I see you working at living that concept and it inspires me. Knowing that your journey was not easy gives me strength to keep on the path even when the road gets rough and the path does not always seem apparent. Keep faith and keep on walking. Thank you for sharing your personal stories about HH Sri Swamiji and letting us see the hardships and the beauty of Guru’s Grace. Sri Guru Datta.